At Charles Hansen Pianos, we specialize in selling pianos at a great price and still give the service you and your instrument deserve. Why buy a used one when you can buy a new one at a price many dealers would ask for a good used instrument? Our goal is to give you the best value you can get on your new purchase. Why not put that extra money in your pocket, or better yet, towards lessons? Traditionally, this instrument has been one of the main focal points of the American home. What better way to get the family together than around it? Imagine being able to entertain your family and friends with music as your fingers flow across the keys. However, just playing for yourself can be a very personal and satisfying experience. Not to mention, it also can be a great stress reliever. A piano is a great investment. It is an investment that can enrich your life and last a lifetime. 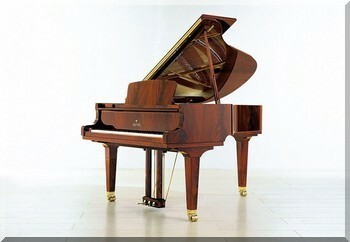 A piano may be an investment in your child, in yourself, or in your family's musical and cultural education. Whatever it is, learning to play the piano, even in an elementary level, can be very rewarding and something you can enjoy the rest of your life. We have provided a lot of information to educate you as a buyer on what to look for when selecting a piano we hope you'll find this information helpful after you read the articles please browse our website to see a sample selection of our affordable and discounted pianos as well as our great selection of piano accessories located on the products page. If you still have questions after browsing this website, please feel free to contact me.